Cynthia and Niko have been on the road for more than 8 years, and they feel better in a tent than in a real house such is their love for outdoor life. 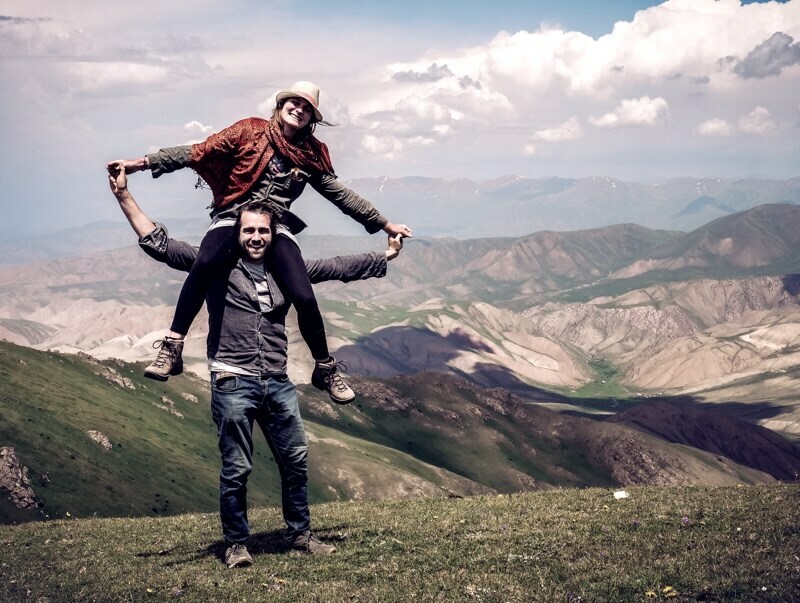 For the last 4 years they have travelled from Ireland to Central Asia without flying, and because they travel for the full pleasure of it they don’t plan the route, they just follow their soul. The slow traveler tries to immerse in the local cultures, to really see their particularities, which you cannot get from selfies and guided tours. 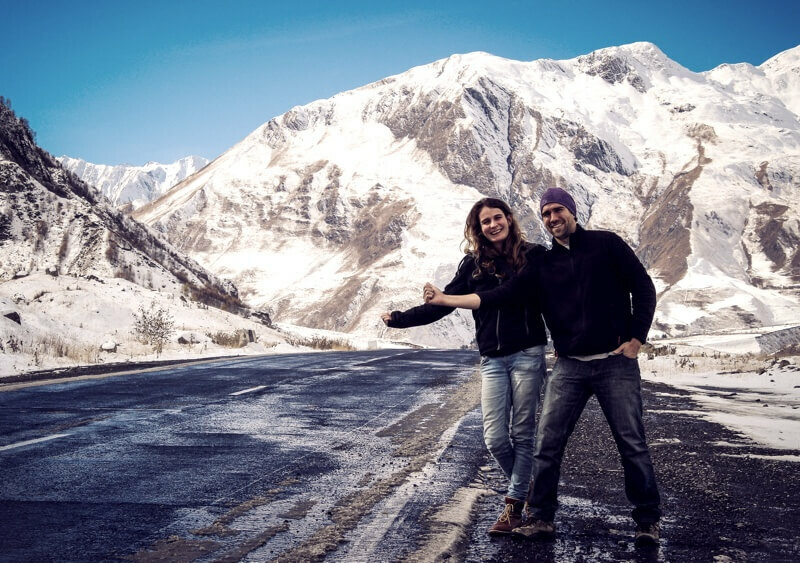 Unfortunately slow travellers are a very small share of the 1 billion travellers in the world, so Cynthia and Niko’s purpose is to inspire others to travel the same way and learn the art of travel. Tell us a little about your background, who were you before starting to travel? Nicholas Danis Bertrand is my name but I always refer to myself as Niko, even my mum calls me like that. I’m Canadian although I haven’t really lived in Canada for a long time. I’m 29 years old and I have been traveling around the world for the last 11 years. I was 18 when I started traveling and didn’t have a job or a career yet. Over the years I’ve done a lot of different jobs in the countries I’ve visited. For example, I worked as an English teacher in a primary school in Mexico and as a restaurant manager in Morocco. My name is Cynthia Bil and I’m from Belgium. Before I started to travel, I was a special needs teacher for children with learning disorders and emotional problems. When I was 25, I decided to take one year off to go traveling but I loved it so much, that I haven’t stopped ever since. I’ve been on the road now for nearly 8 years. What is Slow Travel for you? Slow travel for us is taking the time to immerse ourselves completely in a foreign culture, for weeks or months in a row. Why did you choose to travel that way? Slow Travel is a way for us to see more than just pretty sights. It’s a way to discover a culture and different ways of living from the inside. We try to learn a bit of the language, the habits, the cultural codes and the recipes of the country we are visiting. What goal do you expect to achieve with your travels? Travel for us has become a way of life more than the pursuit of a certain goal. However, through our blog, pictures and videos, our goal is to share a distilled form of our journey. We could say that one of our aims is to share useful advice and life experiences with other travellers and make their lives on the road a bit easier. Are you part of a project or business associated with your travels? Tell us more about it. 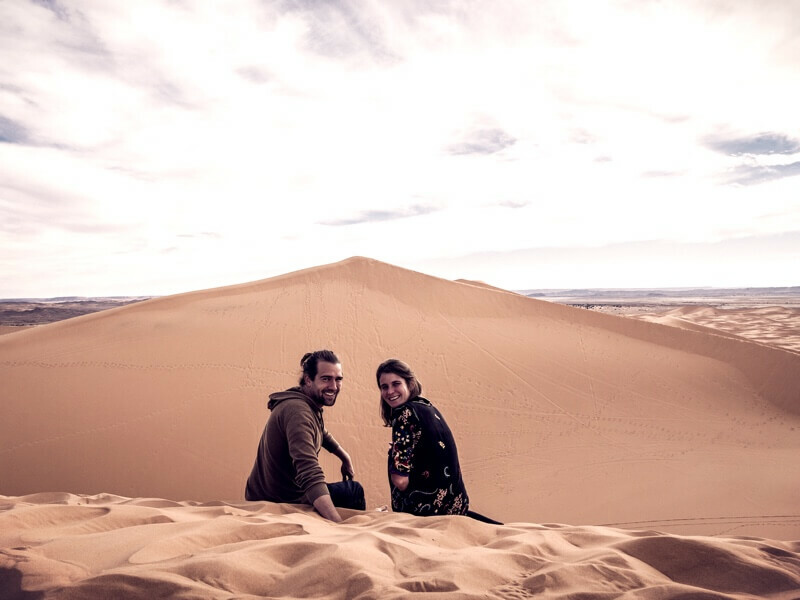 We have an online blog called Journal of Nomads, on which we share our adventures and that has become a way to finance and sustain our way of life through ad-based revenue. What is the main reason for you to be traveling right now? We find it a far more exciting lifestyle than working in an office job. How did you choose your destination(s)? 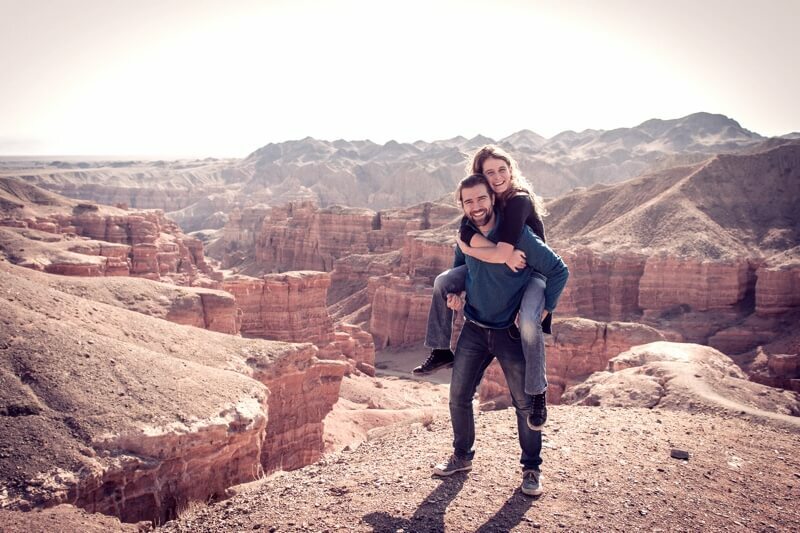 We spent the last 3,5 years traveling overland from Ireland to Central Asia without taking any airplanes. Our next destination was always the neighbouring country so we didn’t have to think too much about where we would go next. Nowadays we travel in a bit of a different way. We started taking airplanes again and we go to countries that appeal to us, depending on what type of culture and landscapes we want to discover. How has your travel purpose changed since you started to travel? When we just started traveling, we didn’t have a blog and we weren’t sharing our trip so for us it was more about self-discovery and learning the ropes of traveling. Once we started our blog, the purpose of our travels became one of sharing our experiences and giving people a window to a world they’re not aware of. We want to show the beauty, wisdom, knowledge, and opportunities that are around us, often to be found in unexpected places and situations. We don’t really plan much ahead of time. We follow our impulses of the moment. For example, we’re currently in Morocco because it’s a country where Niko previously lived for a year and wanted to return to. We also knew that the weather would be ideal to spend the winter here (after 2 years of being in cold countries during winter). What were the biggest planning challenges? And how did you solve them? When we were on our overland journey, very often we were facing borders that were closed and visas that were complicated to get. We had to do research about the whole visa bureaucracy ahead of time since we were limiting ourselves to only cross the land borders. Often we had to change our itinerary and find alternative ways of traveling overland. We soon realised that plans often change on the road and that the secret to solving the challenges that present themselves is to be flexible. How did your experience live up to expectations? What did not go according to plan? Generally speaking, we don’t really have many expectations as we know that it’s more interesting to take things as they come and to be (very often) pleasantly surprised. Kazakhstan, for example, is a country that completely surprised us. We never expected to find gorgeous mountain lakes and lush forests in the eastern part of the country after crossing miles and miles of what seemed to be an endless desert. Georgia also surprised us in a similar way. When we arrived there, we had no idea what to expect. Little did we know that this would be the country where we would drink some of the best wine in our life. 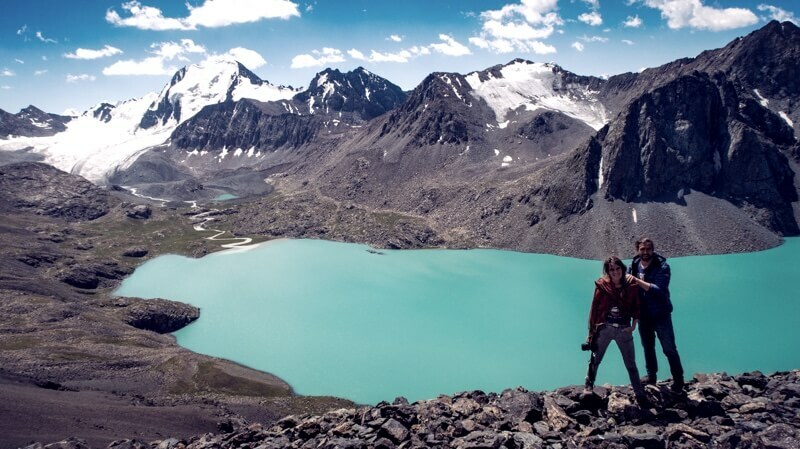 We knew Kyrgyzstan would be completely different from everything we had experienced before on our trip but we never expected to find a culture of nomadic people living in yurts and training eagles for hunting. Tell us the highlights of your experiences? What has been the most impactful experience you’ve been involved so far in your travels? Niko: Realising that I can quickly learn the languages of the places I visit has enabled me to have conversations with people that are not limited to the weather or the prices of things in shops. The highlight of my travels has been all the conversations with locals that happen on a weekly basis, that although small, very often touch me to my core and give me a renewed love for humanity. Cynthia: I’m amazed by the hospitality, kindness, and generosity of strangers whom I met during my travels. It made me realise that the world is really not as dangerous as the media portrays it and that there are still so many beautiful and good people who are willing to help. By having these experiences, I also always try to be kind and helpful towards other people as I realise that even a small act of kindness can make a huge difference! Niko: When I first started traveling I was very impulsive and quite satisfied to travel without a purpose. At that point for me, it was all about having raw, intense and spontaneous experiences. When I look back to that period of my travels, it feels like things were more intense but that I lacked a certain direction. Now I travel in a way that is more aimed at satisfying my intellectual curiosity. I like to learn about the cultural struggles of different ethnic groups and what has moved and shaped countries and people in the way they are today. Cynthia: I learned that I’m the captain of my own ship and that I can create whatever I set my mind on. I’m much more balanced and in control of my own thinking and feeling compared to how I was when I first started traveling. I know now that life is a never-ending learning process with lots of trials and errors but that, in the end, everything always works out and often in very unexpected ways. What now? What are your next steps? Niko: To push our blog so that it becomes a reliable source of income and allows us to travel around the world and pursue other projects with more freedom. Eventually, although that’s in a very far future, I like to settle down and open a hostel. Cynthia: I wouldn’t do anything differently. All the ups and downs of my years of traveling have taught me so many great lessons and made me into the person I am today. Niko: The trials and mistakes I made on my trips shaped into the person I am today. If I look back, there isn’t anything I would change. Stop thinking and contemplating it. Just go for it and see where it will bring you. Tell us why do you think others should travel with a purpose? What advice would you offer them to get them started? We both agree that you first shouldn’t travel with a purpose. It’s important to first experience the raw emotions that come when you are spontaneous and not expecting things to happen in a certain way. Once you have experienced this, then it’s important to find a purpose in a way of travel that contributes to making the world a better place.